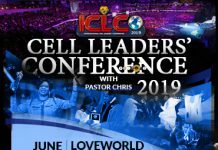 The Global Youth Leaders’ Forum, an affiliate of The Healing School, is a platform designed to nurture and groom young people from around the world, giving them direction, purpose and a vision for global leadership. 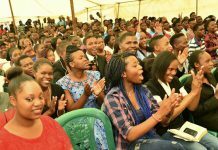 Several thousands of youths have been influenced by the impactful philosophies and teachings of Pastor Chris Oyakhilome, patron of the GYLF. These are foundational to their inspiration for personal and community development programs and other activities that help young people find their purpose in Christ. In the city of Los Angeles, California, the GYLF teamed up with the Los Angeles Police Department to boost the relationship between law enforcement and the community during her annual National Night Out. This occasion which held on the first Tuesday of August had participating neighboring communities from U.S. territories, Canadian cities, and military bases, hence, providing an opportunity to introduce the GYLF to thousands present. The young ambassadors showcased the GYLF initiative during the street rally and delivered a speech to the participating crowd. While the various activities proceeded, the youths headed out in smaller groups to preach the Gospel and distribute Christian materials. Many who heard the message of salvation, including community officials, accepted Jesus in response to the salvation call. It was an amazing experience for those who attended the Night Out, as the event was fun, educating as well as spiritually refreshing. Many of the youths present signed up to join the GYLF. Still on the mandate, GYLF ambassadors organized a Leaders’ Forum at Koinonia Christian Center, Los Angeles. Hundreds of Christian youths gathered to be inspired for the next phase of their lives. The event included sessions of prayer, praise and worship, special music presentations, inspiring talk shows, and several other informative sessions. Ana Arcos, the regional leader for the Spanish speaking nations, enlightened the participating leaders about the GYLF. She communicated the purpose of the GYLF, highlighting on the impact made in the city of Los Angeles and other nations by the ambassadors. The meeting came to a close with attendees signing up to be part of the GYLF. For more impact reports on the Global Youth Leaders’ Forum, kindly visit www.globalyouthleadersforum.org. Previous articleHigher Life Conference – 1 day to go! Found a lump under my armpit. First it was small. The pain was not felt. Now rubbing and increasing. My friends like do not. Recently found out that it can be serious malaise. But most likely, just fatty lump. Found understandable information about this lump. Now I’m not afraid of terrible diagnosis. Everything is clear and detail is written down to the smallest detail. Many have problems with the armpits. There are a lot of bacteria. Then formed balls. They can be painful, but not always. It is better to know in advance about this problem. In this case there will be no fear of horror. Good, that now I understand this. I just want to say I am beginner to blogs and absolutely liked you’re website. Likely I’m going to bookmark your website . You definitely come with awesome article content. Thank you for sharing with us your blog site.